No, don't snigger at the back. Far from being a geek case, this has the potential to make you think differently about what you carry around. For example, I carry a fairly fat wallet (not all money, I should add!) and a cased smartphone around all day, every day. What if the two could be fully combined? 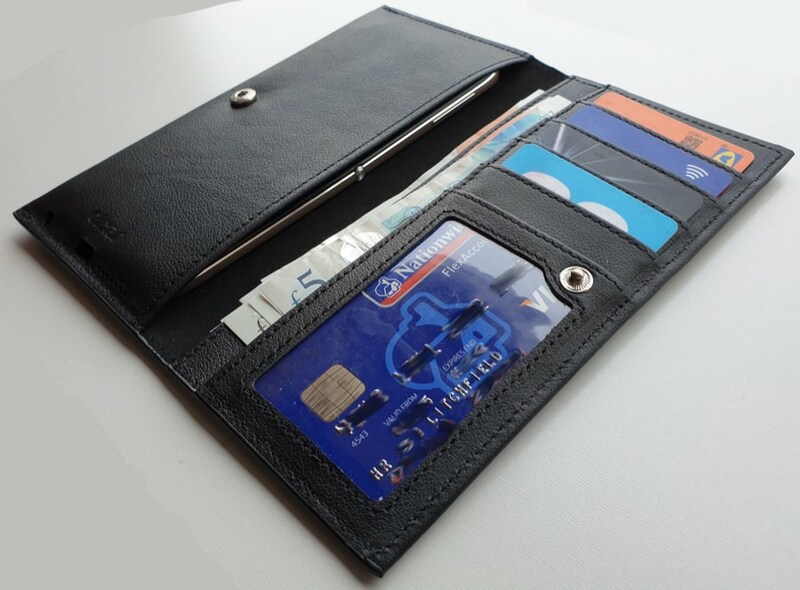 And not just with a couple of token card slots, as with most 'folio' cases, but a full wallet complement? if you lose the case then you've lost both your phone and your wallet. the combination case is large. 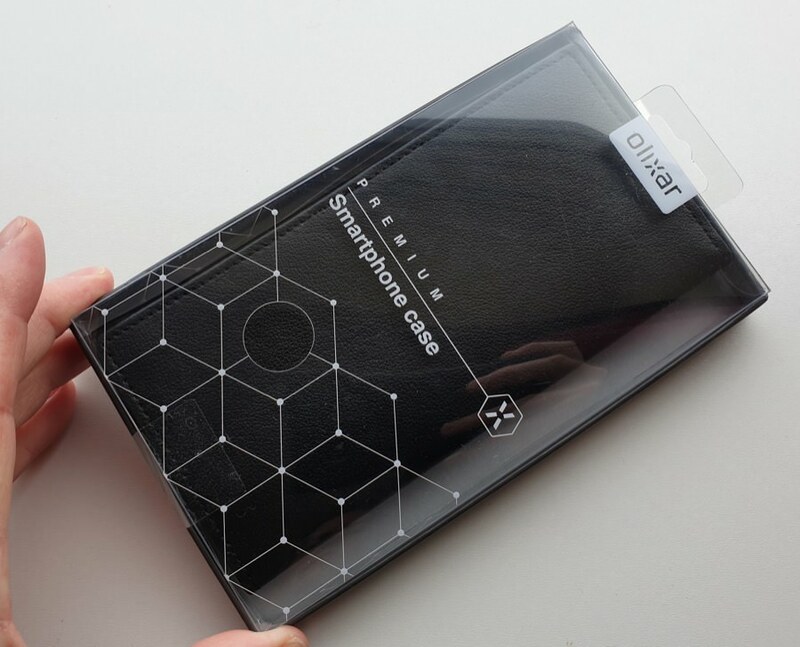 Larger than your phone case and larger than your wallet individually. 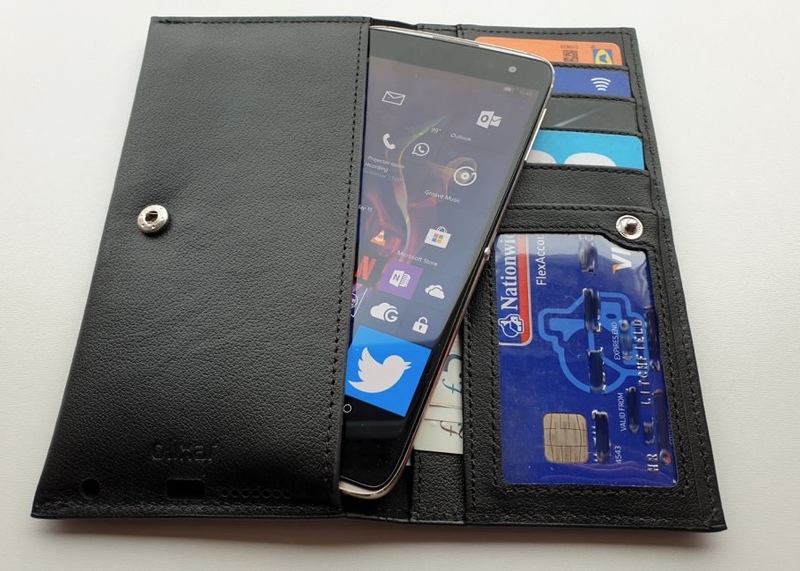 the phone has to be 'naked' in the wallet case, for thickness and ease of extraction reasons. So you're holding the bare phone when you take it out - if you're prone to dropping slippery glass phones then this may be an issue! Regardless of all this, there's a lot to be said for having just the one thing to remember to take with you, the one thing to keep in your (admittedly largish) pocket, the one thing to put in your handbag (if you're a lady). 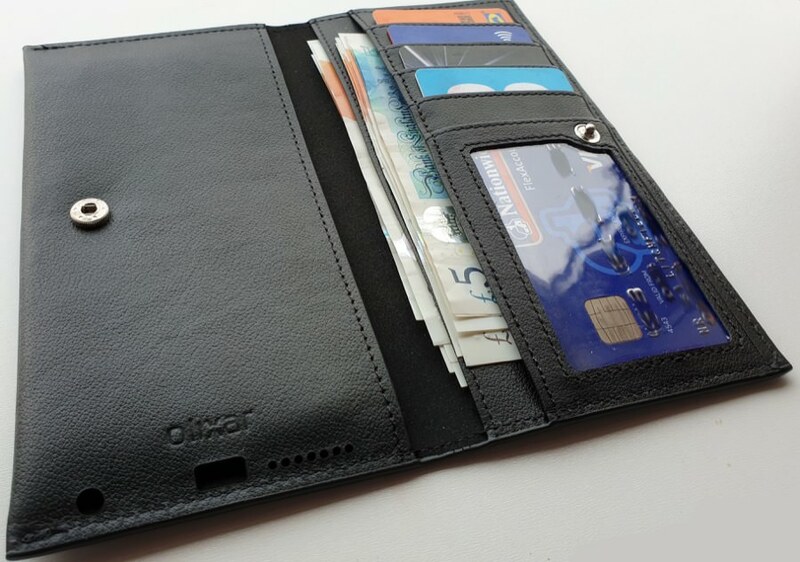 The Primo Universal pouch case is made from real leather, though not of premium quality as you'd find on, for example, the Noreve cases (and yes, it's their wallet offering that's for review next). Still, you get a decent texture and that leather 'smell'. Inside the folio, the left bay is for the phone, of course. There are cutouts at the bottom for charging cable, headphone cable (should you have a Samsung device! Windows phones tend to have jacks up top, iPhones and Pixels don't have jacks, etc.) and speaker audio holes. The idea is, I think, that you can have your phone charging and playing audio (e.g. a podcast) while it's happily cased and on your desk or in a jacket pocket. How well this works will depend on your lifestyle and which phone you want to use this with! On the right is the wallet bay, with two full length 'bill' (note) slots, each capable of at least half a dozen bank notes in my test, with five card slots on top. Each takes just a single card, i.e. you can't 'double up', but as long as you can live with just five cards then you're fine. The bottom slot has a transparent front, which is a nice touch, as it means that you can keep your main bank payment card there and look up your details when needed, plus it's obvious where the 'chip' is for 'tap to pay' (more important here on AAWP as our Windows phones can't do this). Folding the Primo Universal together, it's kept closed with a low tech press-stud, and this works very well. In use, there's a slight extra caveat in that the screen may be active when extracting your smartphone, usually if a call's coming in, so you have to be very slightly careful as to how you hold the device as it comes out. But that apart I had no issues. The Primo case felt, soft and good in the hand, but there's the size issue again for many people. It stuck out of all pockets in all my trousers - it works better in my jacket pocket if I'm dressed formally, but the bulk may be noticed and it will 'fill out' just the one side, of course. 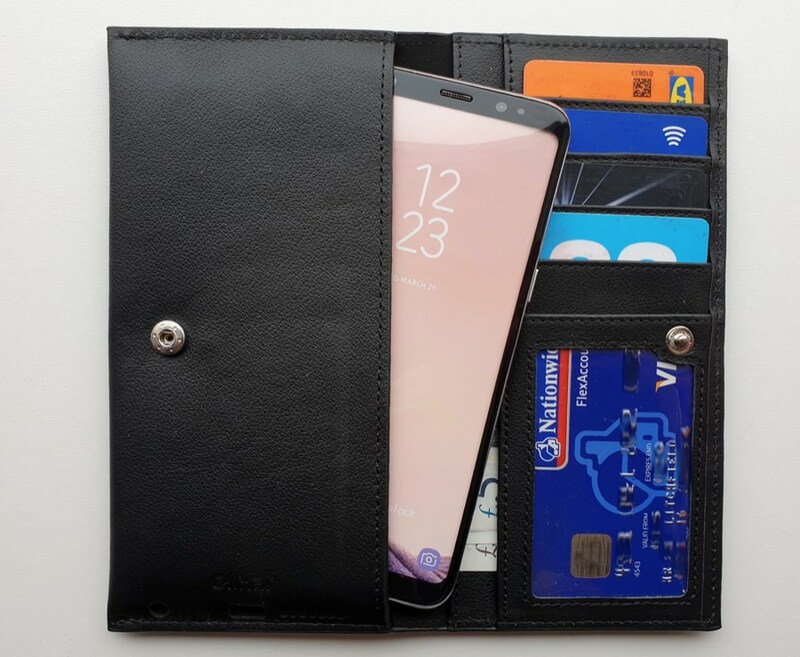 In terms of sizing, this wallet case is perfect for my Lumia 950 XL and IDOL 4 Pro, from the Windows world, but my Galaxy Note 9 is slightly too big, from the Android world. The Pixel 3 XL and Galaxy S9+ are OK though, as are all iPhones. This should all give you a guide anyway! 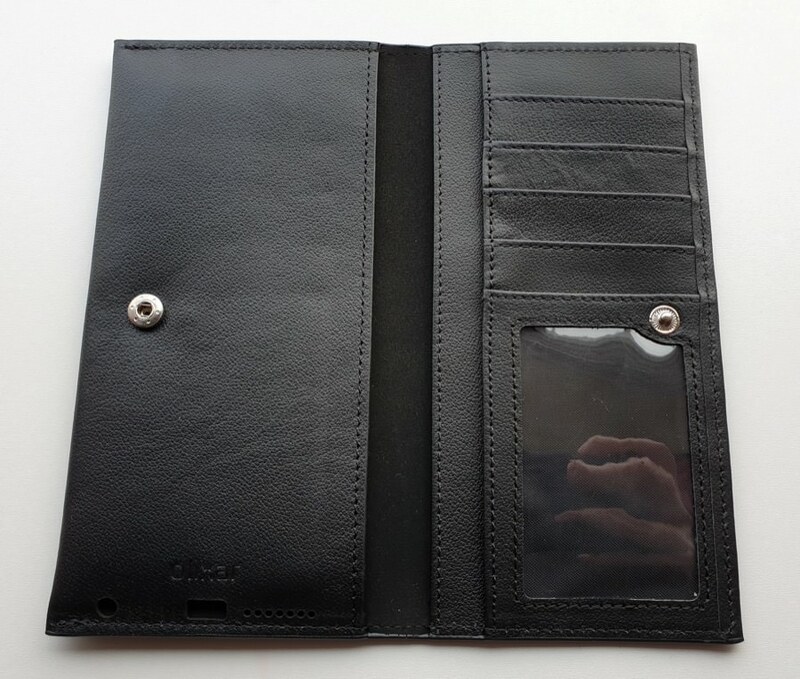 I love the idea of a true wallet case and have been frustrated by the limited space in other 'folios' - the Primo Universal is capacious and well made and if you think that you can handle the concept and the bulk then I can wholeheartedly recommend it. £20 is good value, too, for genuine leather.